Arsene Wenger has assured the Arsenal fans and quashed the hopes of rival clubs by categorically stating that his star players - Mesut Ozil & Alexis Sanchez will at least stay with the Gunners till the end of the current season. 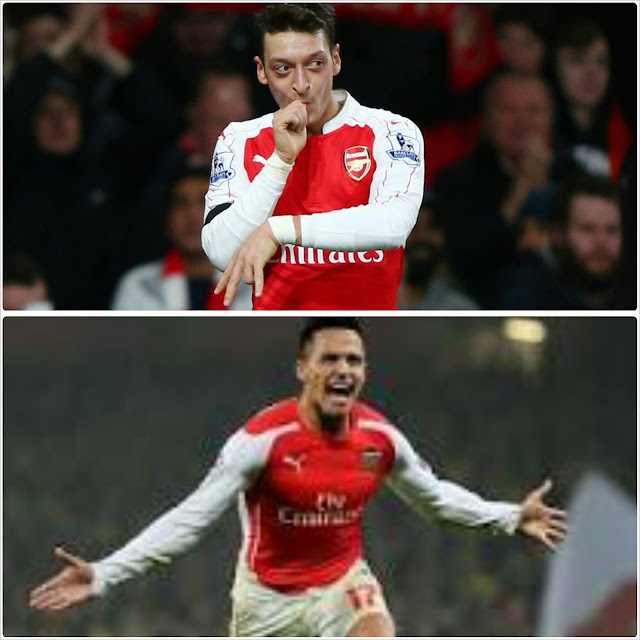 When asked whether Alexis and Ozil would remain at Arsenal beyond the January window, Wenger replied: “Yes, of course. No doubt. I don't think every day about that at the moment. As long as they are here, they give their best for the club. As far as I'm concerned, they'll stay until the end of the season unless something unbelievable happens."